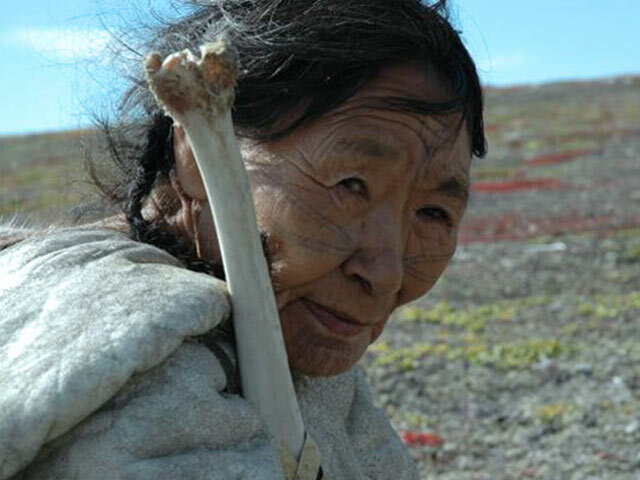 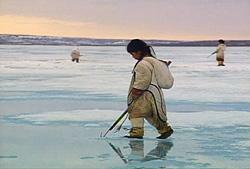 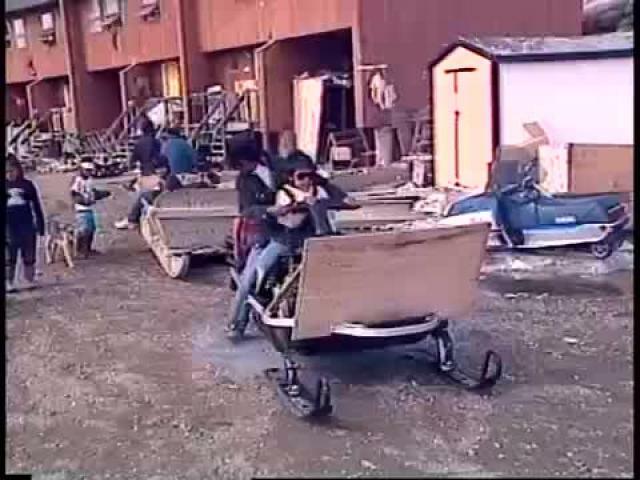 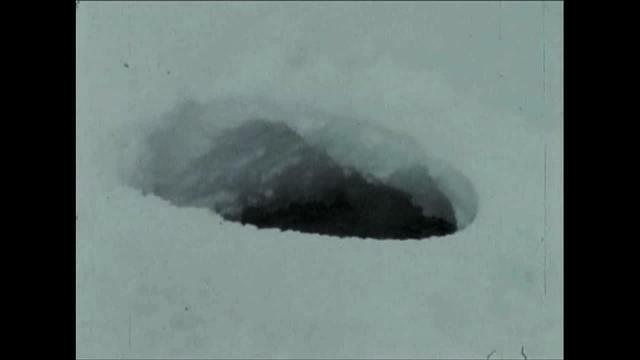 Behind the scenes look as Zacharias Kunuk presents Atanarjuat: The Fast Runner to a world audience at the Cannes Film Festival in 2001. 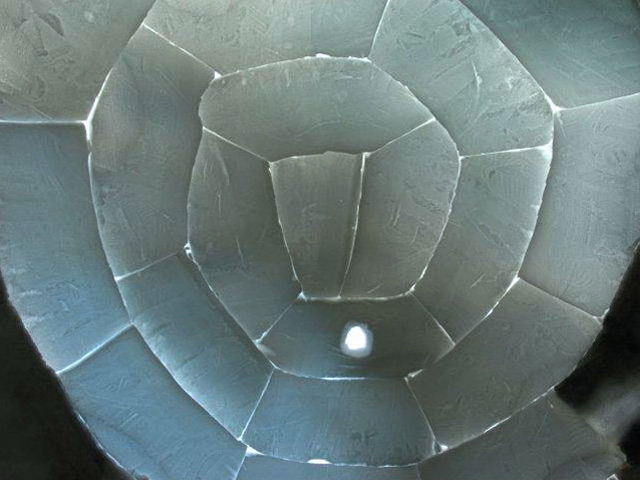 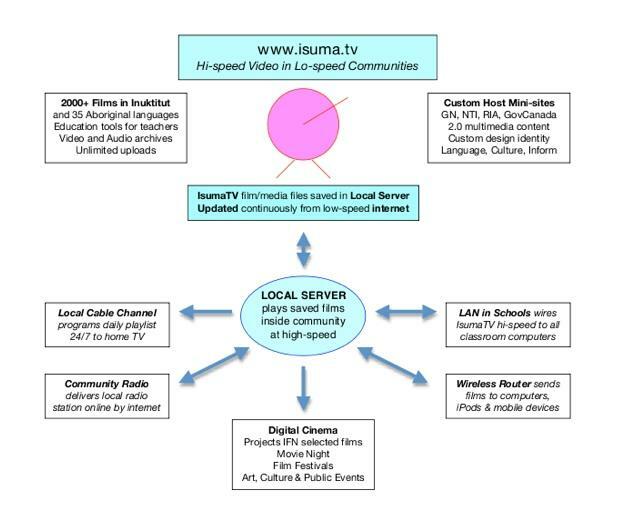 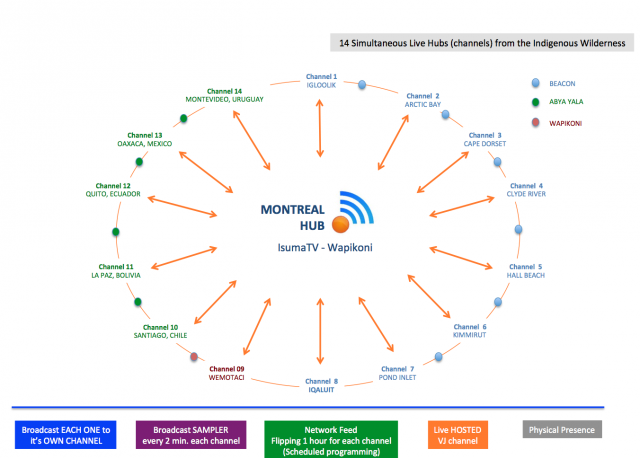 Canada Media Fund Experimental Stream approved a $1 million investment in IsumaTV's newest initiative, Digital Indigenous Democracy, for 2011-12. 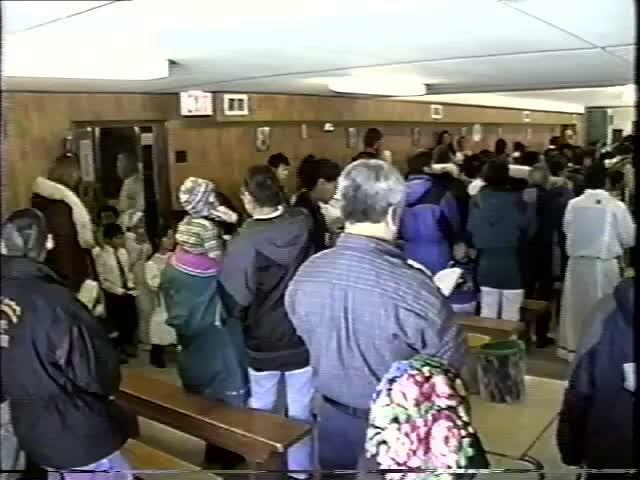 For more information, see attached files. 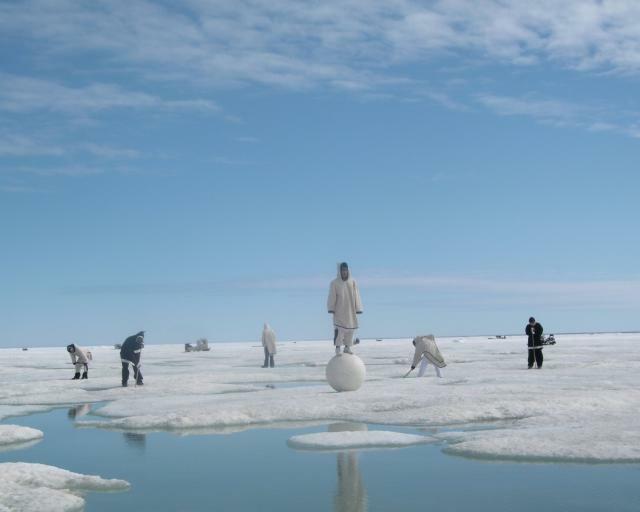 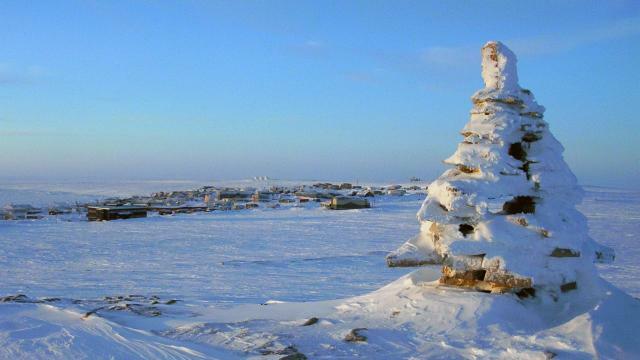 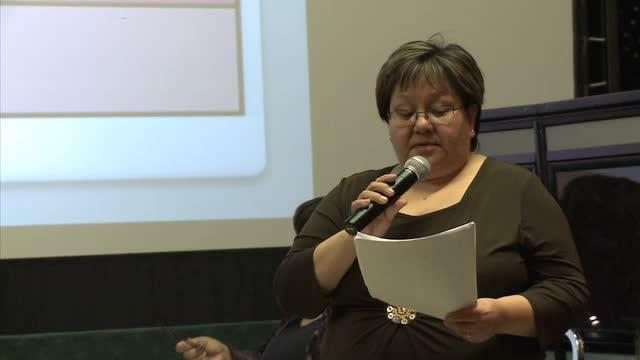 The symposium dealt with the standardization of Inuktitut. 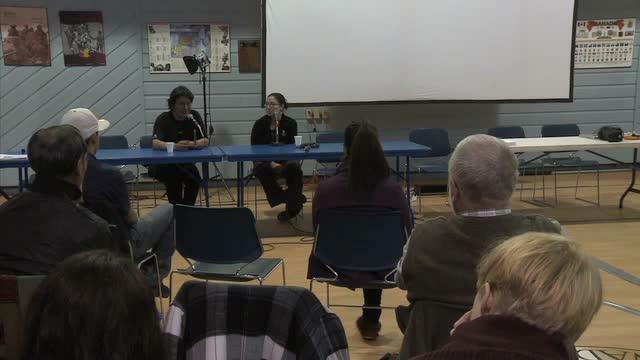 Questions were brought up such as whether or not the language should be standardized, what would be the challenges of standardizing a language with such a variety of dialects, and how would one undertake such a project. 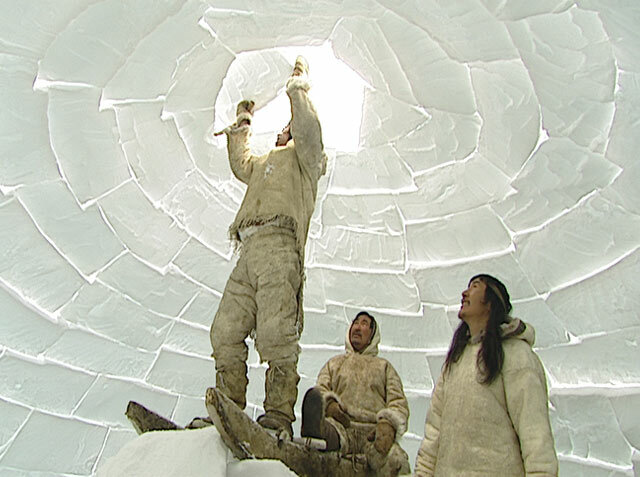 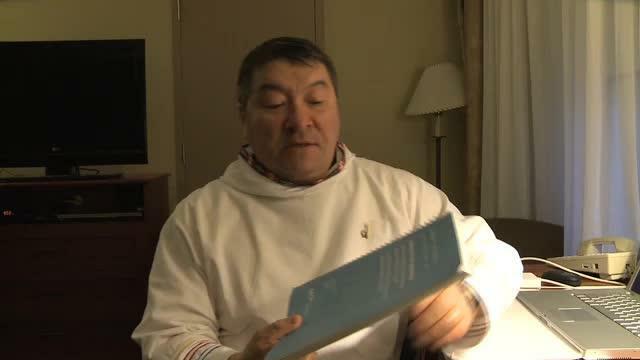 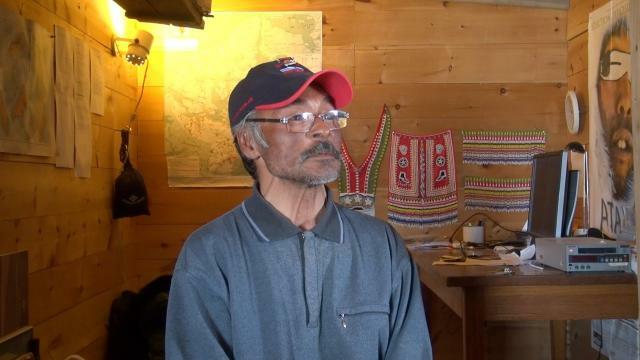 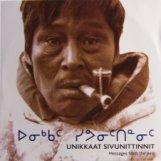 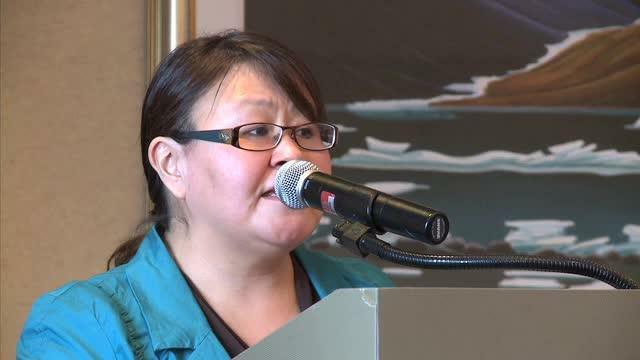 Zebedee Nungak talks about the preservation of the Inuktitut language. 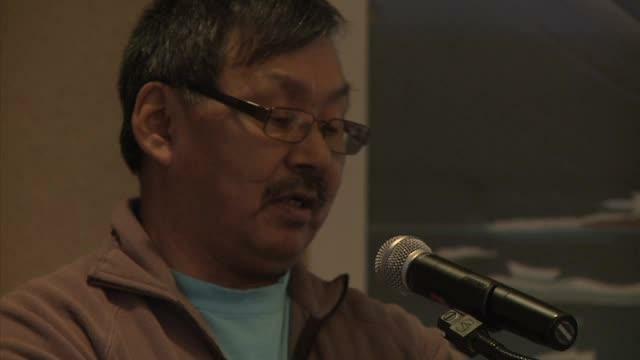 He mentions some of the work being done in Nunavik (Northern Quebec) to preserve the language, what are the results of these efforts, and which communities are more at risk and need more help. 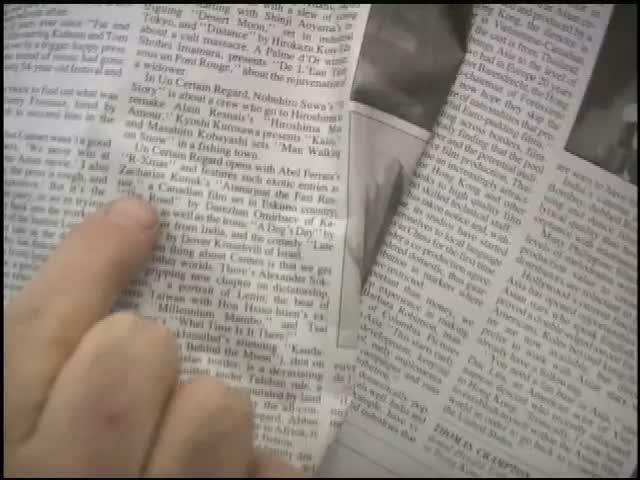 November 17th 2010. 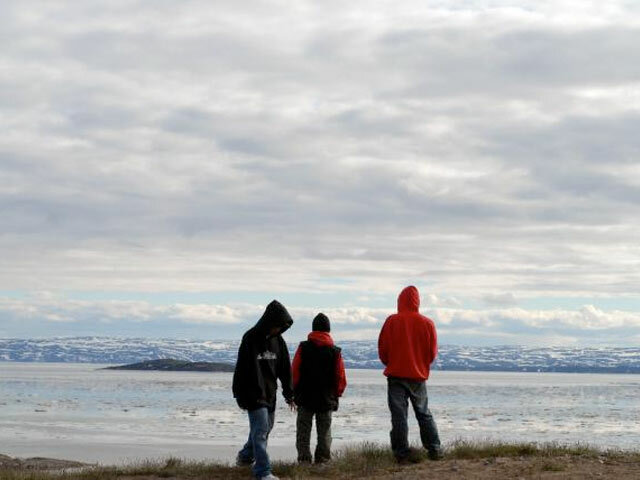 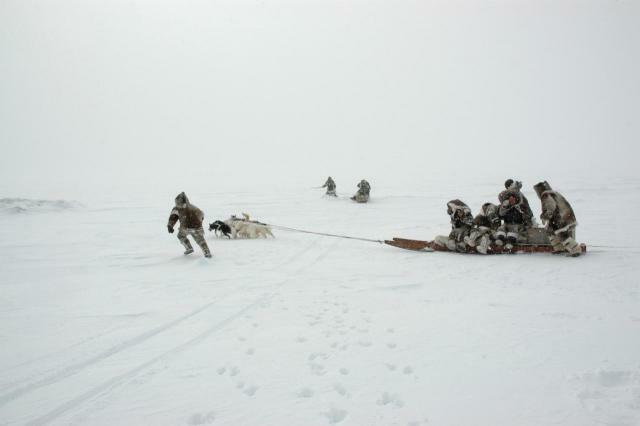 Iqaluit, Nunavut. 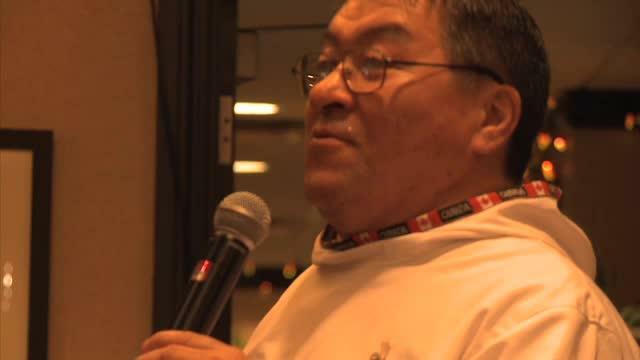 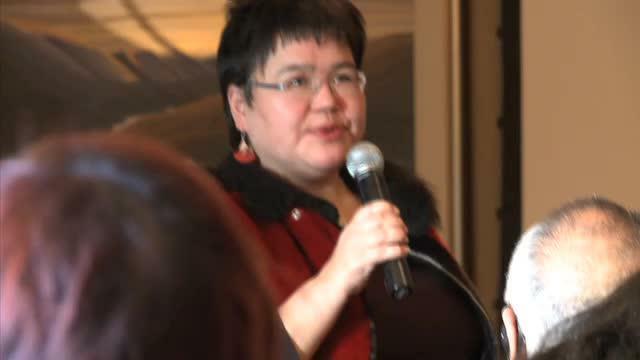 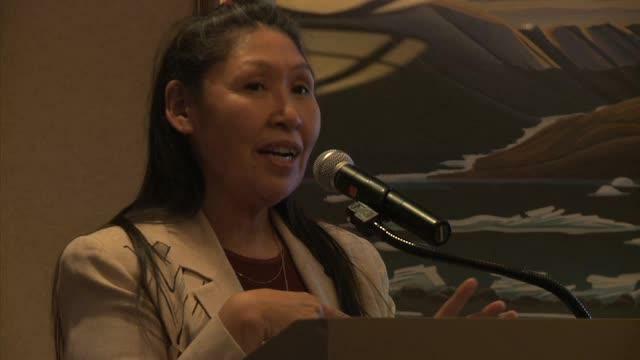 Zacharias Kunuk talks to an audience during a NFB workshop.